Join Kim and Robert Kiyosaki, financial education experts and co-founders of The Rich Dad Company, http://www.richdad.com/Resources.aspx, at the National Achievers Congress, http://bit.ly/NACKiyosaki. Insider secrets to overcome challenges and create sustainable wealth and success. 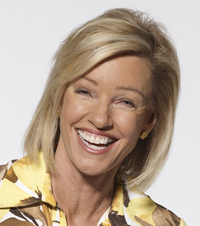 "Since Robert and Kim Kiyosaki are the experts on financial education and financial freedom, we invited them to speak to our audience on what it takes to be successful entrepreneurs and investors in today's global economy,” states Anna Windress, EmpowerNet Marketing and PR Manager for the National Achievers Congress. “We are looking forward to having them share their inspiration, insights and in-the-trenches knowledge at the event." Kim and Robert Kiyosaki of The Rich Dad Company, Donald Trump, Anthony Robbins, Harv Eker, Adam Ginsberg, and more! Early-bird VIP tickets start at $195.00 and limited, exclusive Diamond packages start at $995.00. For more information on this personal development and financial education event, visit http://bit.ly/NACKiyosaki. Our company was founded in 1997 based on Robert Kiyosaki’s best-selling personal finance book, “Rich Dad Poor Dad.” While his poor dad’s outlook closed his mind to the possibility of financial freedom, his best friend’s rich dad elevated Robert’s dreams, opened his mind to life's possibilities and allowed him to be financially free. Today, Kim and Robert Kiyosaki, and their team of advisors, provide financial education via books, seminars, videos, coaching, social media, innovative technology, and the board and Web game, CASHFLOW®, based on Robert’s belief that people learn best through simulation. Our mantra is “Knowledge: the New Money.” Everything we do has one common goal: to increase your financial knowledge and help you live the rich life. Discover how we can help you on your journey towards a rich life at http://www.richdad.com/Resources.aspx or call us at 800-308-3585 or at 480-998-6971 if calling from outside of the U.S.
Visit The Rich Dad Company to boost your financial education now. Robert Kiyosaki of The Rich Dad Company, www.richdad.com Kim Kiyosaki, author of "It's Rising Time" available at www.richdad.com.